Hi! Thank you for dropping by my website. You can call me Kwan. I live in Singapore, a small island state in Southeast Asia, since day one of my existence. Setting up and managing this website is just a hobby of mine. Considering the fact that I have to work for a living and run a family, the time to indulge in this hobby is rather limited --- my off days and maybe some nights. Nature has kept me fascinated and entertained since I was a kid, though for a different set of reasons back then. Since joining the rat race, I have almost lost touch with nature (despite surrounded by it) for many years until the ideation of this website, which then brought me to the next phase of my nature journey. Hope you will enjoy the pictures and information shared! Having a good idea is great. But doing nothing about it will confine it to just a thought that will soon be forgotten. This website started from a simple idea of wanting to consolidate plant pictures and display them in some kind of order for ease of reference. The idea was simple but the work that came after was a test of perseverance. Like anything in life, I do not know what eventually will evolve from this piece of work. I will let nature take its course while I continue to plough on. This website first went live in July 2007. It started with a structured plant pictorial database to archive the photos taken by me over time. As it happened that I live in Singapore, most plant pictures are therefore from this country. I do included some plants from other countries where I has a chance to visit. The Plant Observatory began with 249 plants and 985 pictures from my old picture archive before July 2007. As of December 2016, it housed 15,081 pictures from 1870 plants in the Plant Pictorial Database alone. I have stopped counting since then. To facilitate the look up of the plants within the website, I have created different themes to group the plants. Groups that include all plants: Thumbnail & Brief Description, Thumbnail only, Botanical Name list, Plant Family list. Groups that do not include all plants: Common Name list, Plant Feature & Habitat, New Plant Additions. While taking picture of plants, I also collected pictures of animals, which are usually small in size that crossed my path. In March 2011, I setup another section of the website to share these minibeast pictures which I named The Minibeast Observatory. Currently, this section includes the following minibeast groups: Butterfly, Spider, True Bug (1), True Bug (2), Beetle, Ant & Bee & Wasp, Cricket & Grasshopper & Katydid, Cockroach,	Snail and Slug. More groups will be added when they are ready. In addition, I have 3 nature series where I shared my random thoughts and observation on nature. Nature Weekly Series: Short notes on nature publish on a weekly basis; started in February 2014. Nature Observation Series: Longer notes on nature publish on an ad-hoc basis. Nature Walk Series: Field trip summary reports on my encounters started in January 2010. However, I had stopped producing this report since April 2014. Instead, such field trips are now shared in my Nature Weekly Series. Starting this website is a personal interest that allows me to share my findings and thoughts on nature with the world. It is a learning journey for me at my own pace. At the same time, it allows me to enjoy the beauty of nature and the pictures help to preserve them in special moments in time. All the pictures in this website are taken by me and hence, owned by me. As this is mainly a pictorial website, let me share the equipment that created the pictures. At this point, majority of the pictures were captured with the simple point-and-shoot (compact) camera. 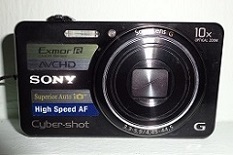 Compact camera fit my need well as it is light and easy to carry around especially when I move over long distance and combat challenging terrain. Furthermore, I am more into the content in the pictures and the story that they tell, and not so much on the art of photography (at least for now). 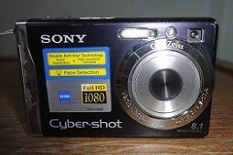 My very first compact camera was a bulky Sony T72 acquired in 2003. 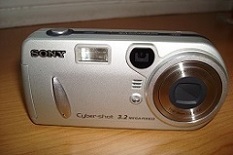 Below are the series of cameras that had accompanied me over the years. 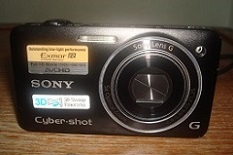 I am now on my fifth compact camera (not display below). In January 2017, I started my journey on macro photography with the acquired equipment that include a macro lens. The experience so far is very positive and I have been adding more of those pictures taken by this camera into my website since April 2017. This set of equipment has give a huge boost to the quality of pictures in the Minibeast section as well as showcasing the tiny features of plants. Providing details of each photo in my website is not possible considering the volume of pictures and my other commitments in life. If you are really keen to know the details of a particular photo, write to me and quote the DSC number that appeared under that photo and/or the URL of that page. Good quality photos of a plant at different stages of its life and its parts (e.g. flower, leaf, fruit, etc.) are very useful in the identification of a plant. Due to various limitations, the quality of some pictures may not be as good as I would like them to be. Pictures may be replaced with newer and better quality ones or new pictures of existing plants may be added when they become available. I DO NOT display pictures taken by others as I prefer to keep this website as a private depository of pictures taken by me. If you have a chance to read the section above, you will know that I own this website and all the pictures in it. You may use or display the pictures for non-commercial purpose provided that you place the copyright notice (i.e. © www.NatureLoveYou.sg) next to or on the pictures itself (see examples below). Alternatively, you can indicate the source of the photo (i.e. www.NatureLoveYou.sg) at an appropriate location of your article or website. The use or display of the pictures for commercial purpose is NOT allowed without first seeking my permission. This includes using the pictures in printed publications for commercial purpose or on commercially-oriented websites. If you want to use the pictures for such purposes, please write to me. I am happy to discuss the terms and conditions with you on their usage. If you use the pictures without indicating the source, it gives others an impression that they belong to you. Such action is similar to stealing. I will not hesitate to take the necessary action to safeguard my rights to the pictures own by me. I reserve the right to change the conditions on the use of the pictures at any time. Please read the updated conditions in this page from time to time. The date when this page is last updated can be found at the bottom of this page. I am not a biologist or anything near a certified expert in the field of biology. The information in this website is not intended to be an authoritative guide. Its accuracy is as good as my knowledge or perception on these subjects. Hopefully, what I know may point you in a direction that will eventually save you some time in your pursue of the truth (if there is really such a thing). Therefore, I will not be responsible for any damage resulting from your visit to my website or use of any information from this website. Do verify the information from other sources if you are using them for serious business (e.g. publication in scientific journals). I do not necessary endorse the content in other websites that I place a link to. The links are there for my reference. Similarly, advertisement links placed in my website are to generate revenue to support the running of this website. I will not be responsible for the outcome of your visit to the advertisers' websites. I expect that you are able to make good judgement and be responsible for the consequence of your own judgement. Over the years, I have received many excellent advices and encouraging words from many of you. Your kind notes and willingness to share what you know has helped me a lot as I move along. Also, I really appreciate the folks who have shared their nature photos in their websites, especially those with the identity of the plants and animals. These websites have been of great help to me in the identification of the nature members in my pictures. So, a very big THANK YOU to all of you! !